The internet has dramatically changed how businesses connect and interact with their customers. The possibilities are growing exponentially. 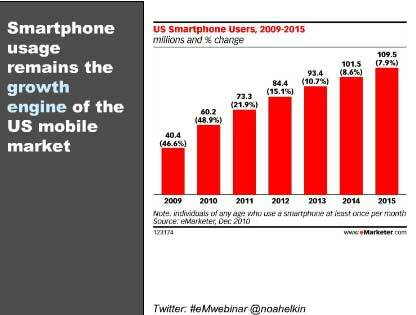 Websites used to be static brochures, now they are often interactive and ever changing. We can now add information more easily than ever before. In addition to the changes to how we can connect through our websites, we now have social media to add to the mix. We can now connect through Facebook, LinkedIn, Twitter, Pinterest and many more. Businesses can spend untold amounts of money and time building their online presence, but what are they getting for it? What is their ROI? ROI = Return on Investment. It is important that businesses invest in what works, and smart businesses measure to see what is working. They use analytics to track sources of traffic. They use tracking codes for links to see how effective they are. They utilize calls to action and measure how effective they are at converting traffic into leads. 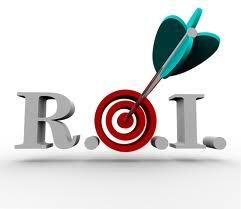 If your business is spending time and money on your internet presence but don’t know what your ROI is, you are missing half of the equation. And, the half you are missing could make a difference between success and failure. Website Grade: How well optimized is your website overall? Traffic: Overall, how many people are coming to your website? Leads: How much of this traffic are you converting into leads (e.g. potential customers)? Customers: How many sales did you close this month? Customer Acquisition Cost: How much are you investing to draw in each new customer? New vs. Repeat Visitors: Of your overall traffic, how many visitors are returning to your site, and how many new people are finding you? Effectiveness by Channel: What promotional channels or referring sources are sending you the most traffic? Traffic by Keywords: Which keywords are drawing in the most visitors to your site? Keywords: Try new keywords or variations of keywords to see if they help you get found better. On-Page SEO: See if changing a simple on-page factor can help boost visits. Conversions: Try new things with your conversion forms or landing pages. Content Strategy: Determine which content is generating the most traffic. Social Media Promotions: Evaluate which social media channels are generating the most site visitors and leads. Lead Nurturing: Maybe you’re sending emails too frequently — or not frequently enough. The key is to always keep experimenting and testing. Make sure that your website is always improving. You should always be reviewing your metrics to see what offers are most successful and improving on them to convert even more visitors into qualified leads for your business. How many people are coming to my website? How many visitors converted to leads? What did they convert on? These metrics will help you determine what parts of your website need revision. Metrics are pivotal for pinpointing the exact pain points of your website. By doing small, but constant adjustments to your website, you will be able to maximize the utility of your website so it becomes a platform for generating visitors, leads, and ultimately, sales. It is important to have a system in place that tracks your conversion performance. Wharton Marketing can provide you with ways to analyze the effectiveness of each individual landing page and offer to make sure you are getting the most out of your marketing efforts. Your offers should be living, breathing documents that are constantly changing. They need to help educate your prospects on the buying process. Attach their links in your email newsletters. Have your pay-per click ads go right to the landing page. Use them as the next step after a trade show or event. Website design is not a one and done deal. Your web pages should evolve and improve over time. This is especially important for your landing pages since they help convert your faceless website visitors into opportunities that you have collected vital information about. Once you have your internet marketing strategies in place, you need to find the best way to use all the techniques to get found online and generate new customers. Implement an Analytics Program: In order to analyze, you need to have an analytics program in place. Identify Opportunities: Figure out what you want to improve. Get in the mindset of constantly looking for new opportunities. Set a Metric for Success: Your metric should be quantifiable and involve a set time frame. Refine: Analyze how your programs performed and make changes. Evaluate: Determine if you’ve met your success metric. Continue to monitor it to make sure the improvement has a long-term effect. Before diving into how to improve them, let’s first discuss what the relevant metrics are. This is just a minimal list of what you should be monitoring. The key is to alway keep experimenting and testing. Get more information on Analyzing & Refining Internet Marketing Strategies as part of a successful internet marketing strategy from the Free ebook: Essential Guide to Internet Marketing. Download it today! It is amazing how many business owners have websites and don’t have any idea as to how effective their website is. Many don’t know how many visitors they get per month or how those visitors were directed to their site. They don’t know what keywords visitors used to find their site or what pages those visitors looked at on their websites. Many business owners will give you their ideas on how visitors got to their websites or what those visitors did once they were there. But it is a guess, speculation, on their part. They really don’t know. That’s why we use HubSpot. HubSpot is an All-in-One Marketing Platform that takes all of the best inbound marketing methods and consolidates them into one integrated software package. HubSpot provides tools to help your website get found on the internet, tools to convert website visitors into customers and tools to analyze your internet marketing effectiveness. With HubSpot’s Marketing Analytics Tools, you can analyze site traffic from first visit to most recent conversion. Their Competitor Tracking compares important site performance metrics to key competitors to help you stay ahead of the game. And HubSpot’s in-depth Blog Analytics make it easy to assess the impact of your blog. So why keep guessing when you can have real answers to how effective your website is. Let us show you how HubSpot can help your business. Start with a plan. You want to encourage check-ins and build loyalty. You can do this with deals and rewards, however, you have to do it in a way that doesn’t give away the store. Consider incorporating non-monetary rewards along with your deals such as special recognition. For instance, you could offer a special parking place or a special table. Make sure your entire team is informed and involved. Nothing can spoil a social media location promotion more than an uninformed team. Get everyone involved in making the process successful! Encourage competition. This can help build loyalty, and it is also fun. Measure the value that location based media adds to your brand and adjust accordingly. Location based social media can be fun and rewarding for your business. Just make sure that you have a clear plan of action that includes goals and measures results. Is your business using location based social media? How is it working for you? What changes have you made that have been successful? When you accept a job, one of the first things you want to know is how much you will be paid, right? Why is it then that so many businesses spend so much time and effort working on SEO, blogging and social media and don’t have any idea if their efforts are really paying off. Many businesses have an idea that the efforts are working. They “think” their efforts are paying off, but they really don’t know how many of their visitors are converting to customers because they just aren’t measuring. There are important things you should measure, and the funnel will help you envision them. And the best part is it isn’t hard to get this information! Website visitors – These are the people in the top of your funnel. They are the people you have attracted through SEO, blogging and social media. Leads – These are the people that have taken the next step in showing interest in your product or service. These are your potential customers. Maybe they filled out a form or requested a demo or other information. You know more information about these people than you do your website visitors. These people have converted from visitors to leads. Customers – These are the people that actually pay you money! These people started out as visitors and then converted to leads and now they are your customers. When you look at the funnel, do you see places where you can improve? 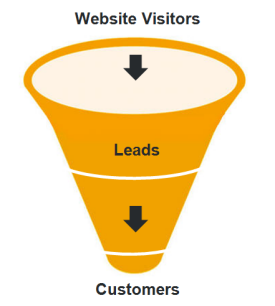 Maybe you are getting enough visitors, but you don’t convert them to leads. Try adding different calls to action or offers to drive them to move a little further in your funnel and become leads. Maybe, you are getting plenty of people converting to leads, but you just can’t seem to close the deal and convert them into customers. Create more lead nurturing campaigns that show your leads more of the benefits of your products or services to help convert them from leads to customers. Some businesses, such as real estate, have a really long sales cycle, so it takes them a lot longer to move people through the funnel. Think about your typical sales cycle. Look at your web analytics and measure your visitors movement through your own funnel. By measuring you can see where you need to improve your efforts. 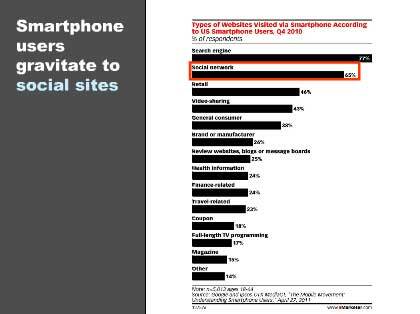 Also think about the sources for visitors and how they influence conversion. Do people who you get in your sales funnel from Facebook convert faster than the people you get from your blog? Does your blog help people from Facebook come to your site and convert? Looking at the sources of your traffic and their behaviors can also help you discover areas that you can more effectively utilize in moving people through your funnel to becoming customers. Don’t work for free. Know for certain how your efforts are paying off! The three steps to inbound marketing are: 1) Get Found; 2) Convert; and 3) Analyze. Often, a great deal of time is spent on getting found and not as much attention is given to converting and analyzing. How can we be successful without converting, and how can we know if we are successful (or not) without analyzing? Fortunately, there are many great tools available to help us measure our success. However, web analytics should involve more than just finding out how many people have visited your site. Do you have a conversion page? How many people are visiting that page? Once visitors are on that page, how many are converting by filling out a form or calling you? What types of conversion pages are more successful? You can use web analytics to do A/B testing to see if one conversion page setup/form/whatever is more successful than another. Because you are probably spending some time on getting found, you should measure your success there as well. How much of your traffic is coming organically from search engines? What terms are people currently using to find you? Do you have sites that are sending you a lot of referral traffic? Are you getting traffic from Facebook, Twitter, LinkedIn, etc.? If you can’t measure it, you can’t manage it. I’m often told by business owners that they get a lot of compliments on their website. That is how they are measuring the success of their website. When asked if they are getting customers from their website, many businesses don’t really know. They think they are, but they are not sure. Web analytics puts an end to the guessing game. Google Analytics recently rolled out a new version of their popular, free analytics program. This is a great place to start if you are not currently using web anaytics. It is easy to install, and of course, that free factor is a great bonus. Hubspot software is the best paid analytics solution. Not only does it give you great analytic information on your business, you can measure a lot of information about your competitors as well. Hubspot is an all in one marketing platform for small and medium size businesses; so it not only gives you great analytics, it will help you with getting found and converting as well. Don’t let web analytics be the overlooked element of inbound marketing. Know what works and what doesn’t work, and know why and change accordingly. If you can’t measure it, you can’t manage it. Use web analytics to measure your online success. For every type of internet marketing we write about and do, we always stress setting goals. If you don’t have an internet marketing goal, how will you know you are making a difference. Analyze your current position – if you don’t know where you are starting, it will be hard to draw a map to where you want to go. Set realistic but ambitions goals – If your goals aren’t really achievable, you will not really engage in trying to reach them. However, if your goals are too easy, you won’t have any reason to really work to reach them. Find your sweet spot where you are engaged and excited about reaching your goals. Create strategies to reach your goals – for each goal you set, the strategies you use to reach them is the road map from where you are to your goal. 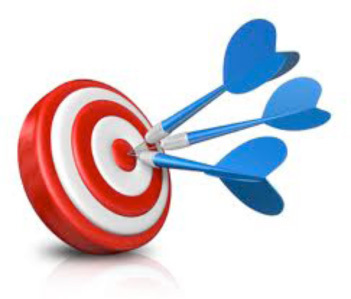 When you are setting goals for internet marketing, you might use strategies like targeted blogging, growing and engaging with your social media following, creating effective calls to action. Make a plan for how your are going to achieve your goal and create the processes that will help you do it. Identify obstacles – When you are thinking about your goals, keep in mind the resources that may be required to achieve them and plan accordingly. How much time, money and other resources may be needed? What about knowledge? Do you have the knowledge you need to accomplish your goal. Maybe you don’t have the right mindset for achieving your goals. By identifying the obstacles you may encounter while striving to reach your goals, you can build into your plan ways to overcome the obstacles. No plan is perfect and no goal is reached without any challenges. Plan for the challenges in advance. See yourself achieving your goal - Visualize how it will be to reach your goal. What will it look like and feel like. This is a way to train your brain to achieve the successful finish for your goal. Athletes use this type of visualization before they race or begin a game. Visualizing their success helps them achieve success. Set a deadline – Most people don’t love deadlines, me included. However having a deadline holds you accountable. If you have to have something done by a certain time, you are more likely to achieve the task in a timely manner. If you have no deadline, you don’t have to be accountable. Be prepared to change – Sometimes in life there are just things that happen that you can’t predict. An extreme example of this is the earthquake and tsunami in Japan. One day you are working towards achieving your business goals and the next day your goal is simply survival. Be willing to change when necessary after careful consideration of the circumstances. Even the best plan doesn’t survive reality. 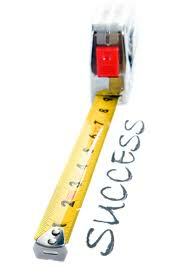 Measure your success – Analyzing your progress on a regular basis will help you know how to tweak your strategies. See what is working and not working. If you aren’t measuring, you have no way to know when you reach your goal. Our friend Herb Lawrence at the ASU Small Business Development Center said in is small business blog yesterday that “if you can’t measure it . . . it isn’t worth doing.” Measurement is another way to hold yourself accountable. –what you will become is the winner you were born to be! Set Goals, set goals, goals. Plan your work and work your plan (My daddy, Eddie Dicus, said this all the time). Go to Wharton Marketing to download the Facebook 101 for Business eBook and the SEO 101 eBook to help you gain some of the knowledge you need to reach your internet marketing goals. Want a #1 Google Ranking? When you look for your site in a Google search, do you want to come up first? Of course you do, everyone does. However, the world of search has changed. If you have been reading this series of articles, you know that search engines are trying to personalize our searches. First we saw how Google has teamed with Twitter. How about Bing teaming with Facebook? So now who ranks first? It depends on who you are and when you search! So, a #1 Google ranking on a search term for you may not mean a #1 Google ranking on that same term for someone else. Whatever search engine you are using, social is definitely part of the mix and fresh content is imperative. Yesterday’s SEO just won’t work now and going forward. On Monday, we will wrap up our SEO series with information about trends going forward and what you need to do to prepare. Search has changed and continues to change. Social and Content are important components of today’s search. Where your site ranks depends on a number of factors that you do not control. Come back on Monday for the wrap up and some useful resources you can use going forward.